UltimateMama has purchased numerous goggles for her kids in the past 9 years, many with extremely disappointing results (uncomfortable, leakage, breakable, and so on). However, after purchasing Aqua Sphere’s youth goggles she found a winner. For younger children who swim recreationally, the Moby Kid goggles reign supreme. For older children, the Vista Jr mask is a must have for ultimate comfort in the water! UltimateMama’s kids used their amazing Aqua Sphere googles on a recent snorkeling expedition in the Caribbean! 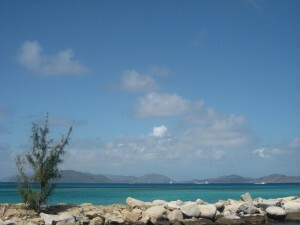 UltimateMama and her family had a spectacular time in the Virgin Islands recently. One tip: buy your snorkel gear ahead of time so you don’t have to rent – that goes for adults and childrens gear! UltimateMama’s kids loved Head Pirate snorkeling gear (the 3 piece set includes a mask, snorkel, and fins). Stay at Marriott’s Frenchman’s Cove in order to get a villa with full kitchen. UltimateMama enjoyed her two bedroom unit in the Tortola building. The pool with water slide is terrific for kids as is the hot tub for adults. There are myriad activities on site for people of all ages (bingo, movies, karaoke night, crafts for kids, and more). You can snorkel right off the beach. Additionally, one can take advantage of the Marriott Hotel’s offerings next door. You will want to rent a car in order to explore the island of St. Thomas and have the ability to go to the car ferry to St. John. UltimateMama was happy with our Avis rental and used it right away to stock up on groceries for the week at Gourmet Gallery. An absolute must is an all-day boat trip on the Breakaway II to the British Virgin Islands (bring your passports). You will board the boat at Sapphire Marina then have a wonderful day exploring The Baths at Virgin Gorda, snorkeling at Diamond Reef, eating lunch at Pusser’s in Marina Cay, and jumping off the boat to hit the Soggy Dollar Bar on Jost Van Dyke. Make sure your entire family has water shoes, sunglasses, UV protection shirts, bathing suits, towels, and plenty of sunscreen. There is a short stop in St. John then you return back to St. Thomas in the late afternoon. A trip to the U.S. Virgin Islands wouldn’t be complete without a trip to St. John to hit some great snorkeling beaches such at Trunk Bay. Choose either a car ferry or a foot ferry to get over to St. John (car ferry obviously gives you more freedom once on the island) from St. Thomas. UltimateMama advises you to get to Trunk Bay early as the parking lot fills quickly. Trunk Bay has an amazing underwater snorkeling trail, a bathhouse, snack bar, and souvenir shop. Cinnamon Bay is nearby too. Back in St. Thomas, take your family on a drive to explore the beautiful beaches that the island offers. 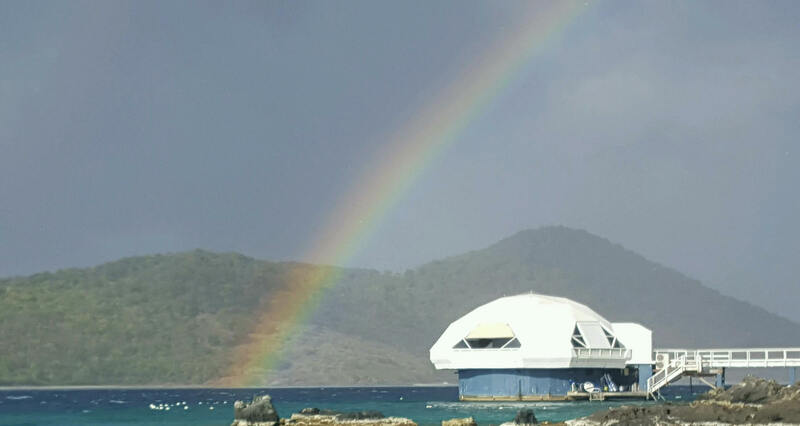 Coki beach (on Coki Point) was a big hit with UltimateMama’s family due to the amazing fish seen when snorkeling in addition to not only a full rainbow sighting but also a double rainbow sighting. UltimateMama arrived late in the day, parked and spent an amazing early evening snorkeling and taking pictures of various species of fish. Apparently, the beach gets crowded when cruise ships are in port so be aware of those times in addition to making sure that you know where your belongings are at all times. UltimateMama had a lovely time at Coki and it was not at all crowded. UltimateMama and her girls ventured to M&J Trimming last week in the quest to find goods to use to create our own barrettes and hair accessories! And, were we ever successful (after about an hour of looking through all of the store’s amazing supplies). First, we headed straight to the clearance section to find beautiful appliques of all kinds at spectacular prices ($1 to $3 each). Next, we found bags of 4-5 hair clips (medium and large in size) in each pack. Finally, our eyes locked in on E6000 craft glue. It only took us 30 minutes to glue on the appliques and create red carpet worthy hair barrettes that have become a big hit at school! Easy, fun, cute, and useful!